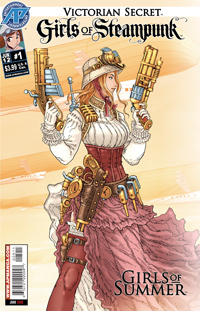 The lovely ladies of steampunk style expose themselves...to all the adventure they can handle! See them romp in their runabouts or disport in their dirigibles in satin, silk and lace; or brass-studded denim and leather. These brazen beauties can take the heat—can you?